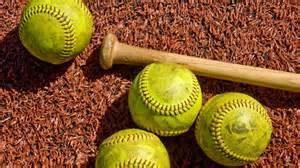 The first walk-in registration for Baseball/Softball/T-Ball will be held on Saturday March 23rd 11 am-1 pm at the Kewanee Park District Office, 1095 Cambridge Rd., Kewanee, IL 61443. Registration forms can be mailed in or dropped off at the Kewanee Park District Office. Registration forms may be printed and filled out prior to registration. I have two sons interested in baseball. One is 5 and one will be 9 before June 1. What leagues would they be in? Thank you for your interest in our Summer Baseball program. Your 5 year old son will be in T-Ball and your 9 year old son will be in Farm League. If you have any further questions, please do not hesitate to contact us. My daughter loves softball so much. Thanks a lot for sharing the information. My 3 1/2 year old grand daughter is interested in t-ball. Is she old enough? Is it too late to register? 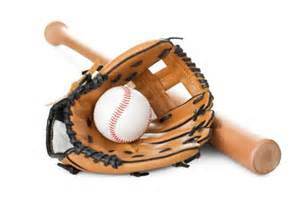 Thank you for inquiring about our T-ball program. Your granddaughter will need to be 4 on or before June 1st in order to be old enough to participate. If she will be 4 then we can accept her registration up to Friday April 22 at 4pm. Registration forms can be picked up at the office Monday – Friday 8am-4pm. The office is located at 1095 Cambridge Rd., Kewanee. If you have any additional questions, please feel free to contact us. Is this the only walk in one? There are walk in registrations on Saturday March 11th from 11am-1pm and Saturday April 1st from 11am-1pm. My son is 6 years old, what league will he be in for the 2018 season? We divide the league by grade level now so if he is in Kindergarten he would be in T-Ball, if he is in 1st he would be in PeeWee. However, at 6 years old you have the option of moving him up to PeeWee if he is in Kindergarten. Since he is already 6 you can choose to move him up to PeeWee League which is $45 or he can play T-ball for another year which would be $25. On his registration form please note which league you would like him to be in. Age 6 is the only age we allow to move up but we will not move a 6 year old to PeeWee unless requested by the parent. The 19th Hole Restaurant will open for the season. Thank you to all patrons, we look forward to seeing you all this season.